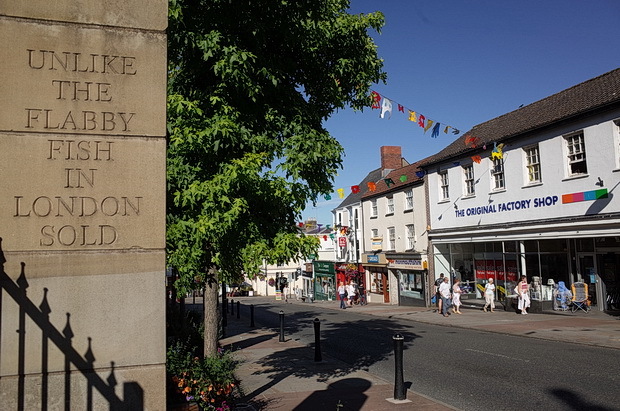 En route to the lovely Green Gathering festival earlier this month, there was time to take a short walk around Chepstow in Monmouthshire, Wales, a small town (pop: 12,300) adjoining the border with Gloucestershire, England. 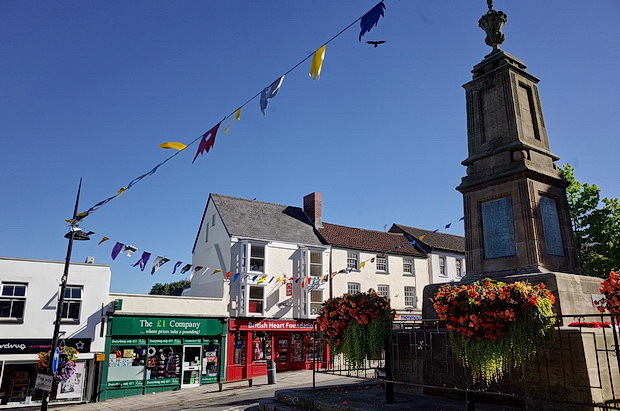 Chepstow is popular with tourists, being a convenient springboard for trips up the glorious Wye Valley, an Area of Outstanding Natural Beauty and an internationally important protected landscape, straddling the border between England and Wales. 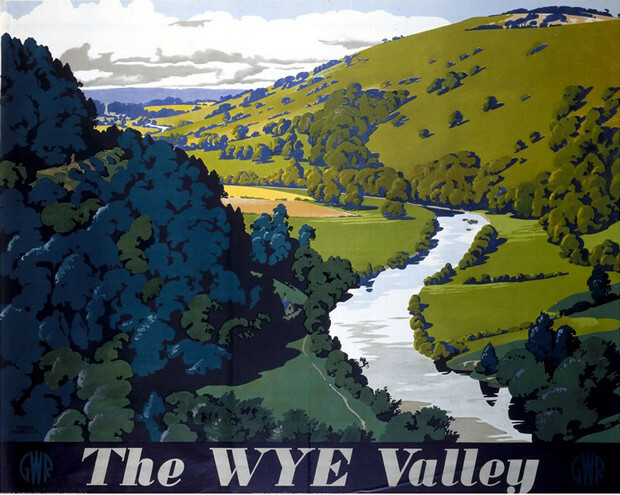 One of the most dramatic and scenic landscape areas in southern Britain, it was once served by the Wye Valley Railway, which crisscrossed the River Wye several times on its way to Monmouth (above: Railway promotional poster, 1930). 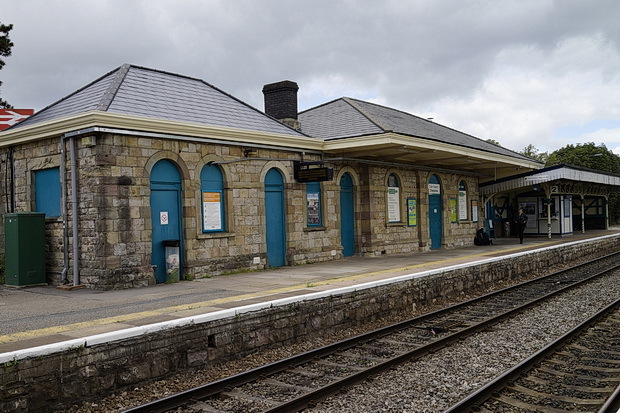 Sadly, the line closed to passengers in 1959 with the tracks being ripped up in 1964, although the former station at Tintern has been restored. 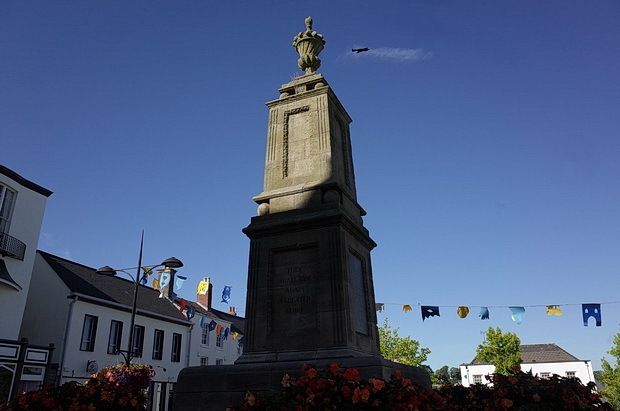 In the town’s main square can be found this naval gun from the German submarine SM UB-91, which stands as a memorial to William Charles Williams VC (15 September 1880 – 25 April 1915), a Chepstow-raised recipient of the prestigious Victoria Cross. 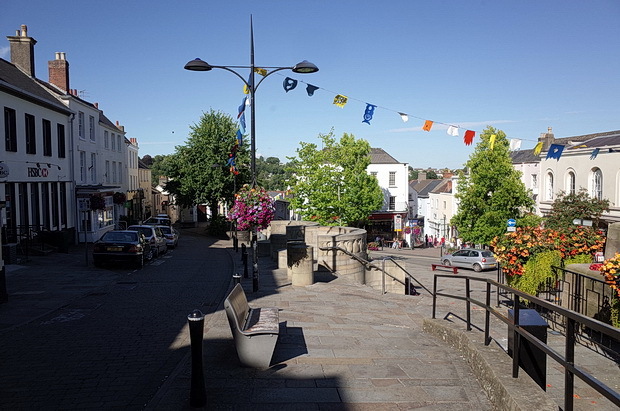 Looking down the High Street, towards the River Wye. 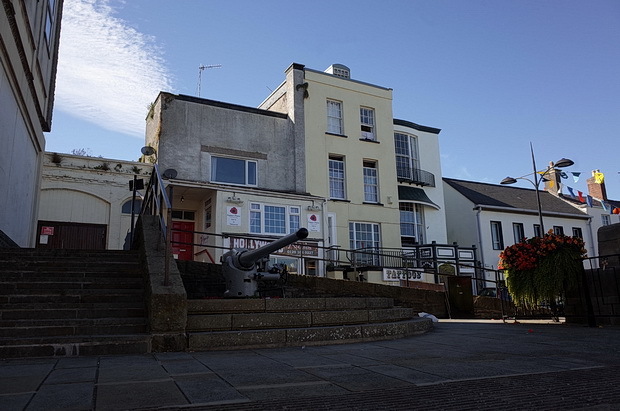 Up the hill in the opposite direction is Chepstow Castle, which is often cited as the oldest surviving stone castle in Britain. 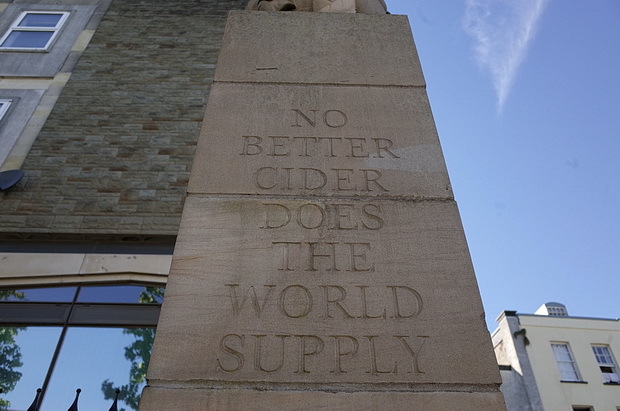 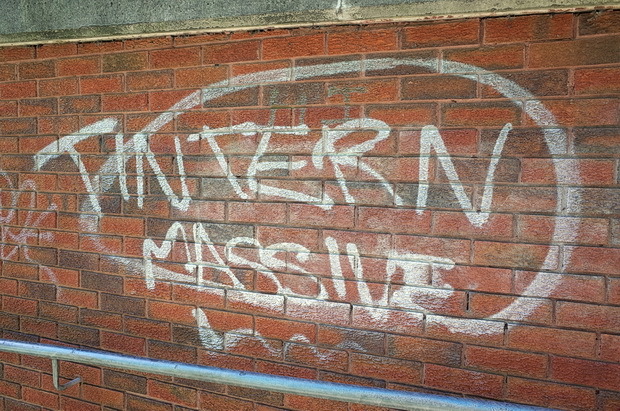 This, along with other triumphant couplets, can be found etched into the stone walls along the High Street. 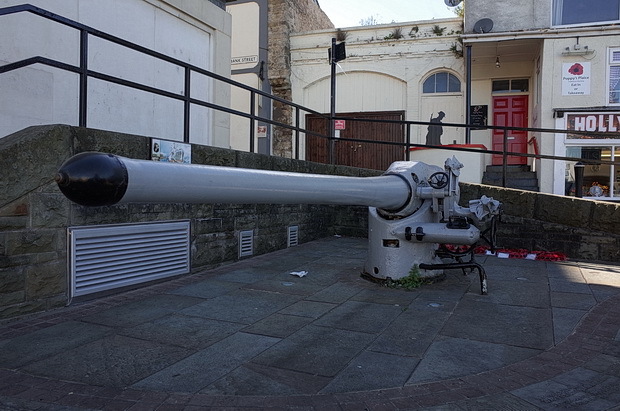 “A Chepstow’s salmon’s worth his weight in gold, Unlike the flabby fish in London sold,” insisted the vicar. 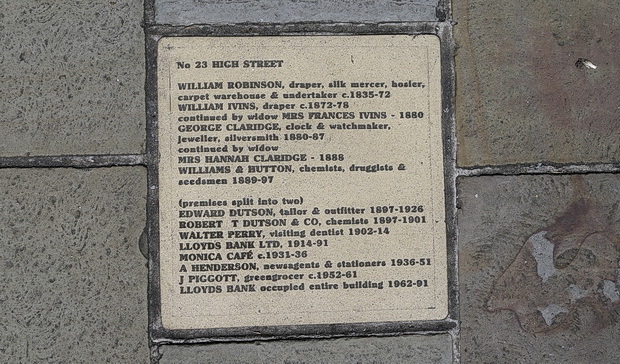 This is a wonderful touch: on the pavements outside businesses on the High Street can be found these plaques listing the shop’s former occupants. 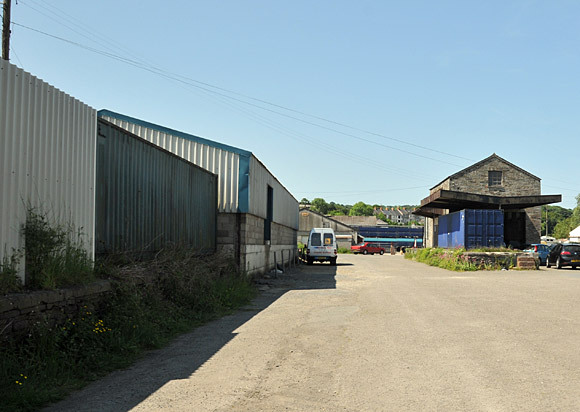 Formerly the junction station for the Wye Valley Railway to Monmouth Troy Station, the attractive single-storey buildings of Chepstow station are stone and timber-built structures, built in an Italianate style, and completed in 1850 for Brunel’s South Wales Railway. 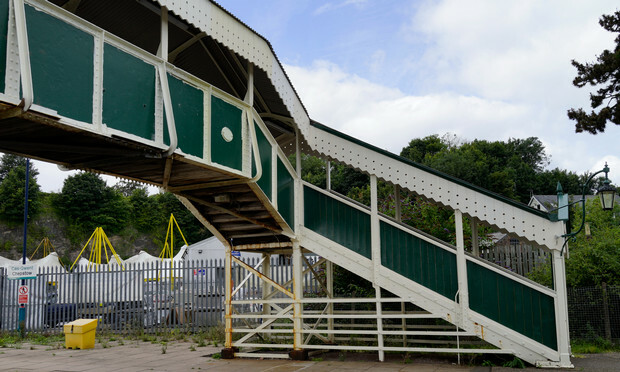 The station’s cast-iron footbridge is a now-rare survival of a typical GWR iron pattern, still with its wooden cladding and canopy, and is Grade II listed. 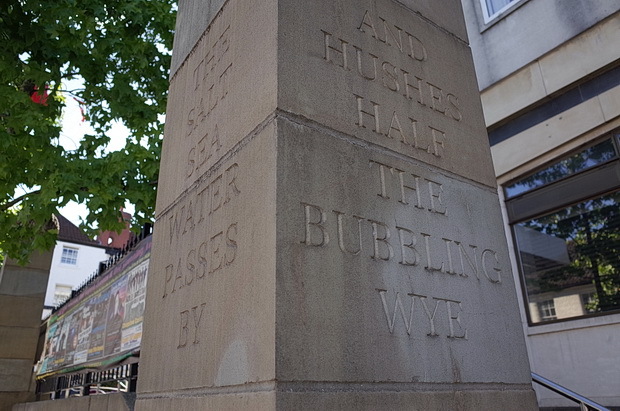 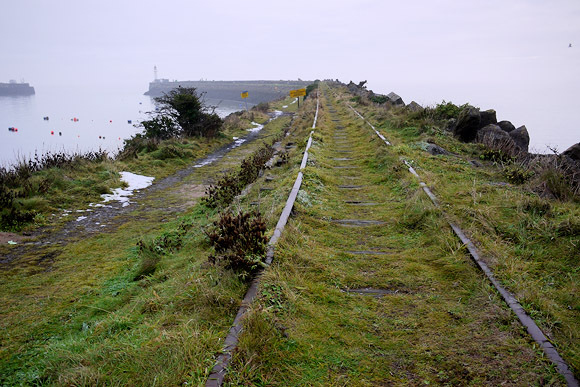 It was cast in Edward Finch’s ironworks, adjoining the station.